We’re rounding out the last week before (Australian) Winter with an up-beat and decidedly dancey playlist! Maybe, instead of letting music keep us sad and cold for the next three months, we can listen to this summery stuff that will get us through to October. 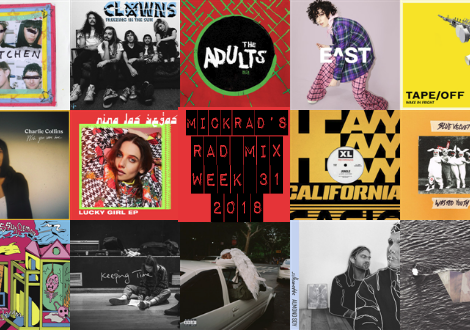 So many great new tracks this week for artists that are really starting to warm up. Let me know where you’re from. Maybe it’s coming into Summer and not Winter where you are. Would love to know where you’re reading/listening from. Drop me a line! Your boy, Paul (re: Jimmy Recard), is back with a brand new single. Well, actually. five of them. 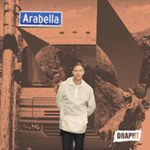 Arabella Street is the brand new five-track mini release from Drapht and this lead track, The Come Down Was Real is a jam and a half. It’s old-school Drapht and that’s what we love. Up-beat with a booming chorus, featuring Indoor Fins (aka West Australian, Timothy Nelson). Trust me, listen to Drapht’s lyrics. He drops so many fun rhymes. Look out for three more mini release from the man until the whole 17-track album is out. Music GALORE! 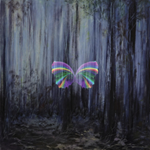 I’m officially in love with this new song from Milan Ring. 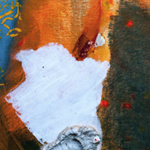 Obscured is a slow-burning groove with amazing vocals that steer a song whilst guitar and synth swirl dreamily beneath. I adore the addition of guitar to Milan’s track. She plays it live while the beat grooves and it adds a texture that is unique to the sea of electronica out there. A nice message to this one too. “This song is dedicated to my father & grandmother and all people who have experienced any kind of disconnection, abandonment, or displacement in their lives,” says Milan. It grooves you and speaks to you. My sort of track. Oscar Key Sung is slowly, but surely, placing himself front and centre of the Australian electronic music scene. Teaming up with another prodigy, Golden Vessel, for this one, Oscar is on the verge of an EP (No Disguises out this Friday!) that will continue his spiralling upwards climb. Club Mate is a soaring and gliding song, showcasing the falsetto lyrics that we’ve come to love from the artist. “I hope you love like you dance” is the centrepiece of the lyrics. Balancing a fine line between R&B and pop, this is another exciting release from an artist to keep watching! Speaking of watching closely, Hatchie, is being watched and listened to very closely all over the world. Having broken away from her Brisbane mates, Babaganouj (who I hope will make more music some day! 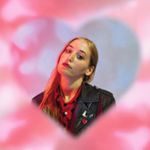 ), Harriette Pillbeam is releasing her own ’90s-esque dream-pop and it’s just perfect. Fire up your Spotify and listen to her EP, Sugar & Spice, when you get a chance. It’s fairy-floss for your ears, leading you down a poppy path of dreams, air and happy. This track, Bad Guy, is the longest track and the closer and her voice constantly reminds me of The Clouds or The Breeders. Beautiful stuff. The boys from Caravãna Sun feel like they’re fun fellas. 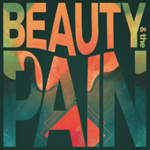 Their new track, Beauty & the Pain, is a real head-bop of a track with a bass line that won’t quit, a hook line that will get into your head and some crisp production, thanks to Steven Schram (via The Cat Empire, San Cisco & Paul Kelly). If you haven’t checked this band before, think surf, think summer, think good times. They will get you through winter. Currently on tour, so look for them near you! With honest song-writing, a glorious voice and simple but beautiful music, Maggie Rogers exploded onto the world scene around two years ago and has backed it up with this brand newie, Fallingwater. I was late to pick-up on this artist, but glad that I’ve jumped on board because I’m excited to see what’s coming. This track, co-written with Vampire Weekend’s Rostam Batmanglij, is a interestingly built track. Starting sparse, before diving into the glorious chorus, it ends in a sort of half-time clattering of drums, hand-claps and vocal dances. 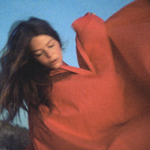 This song exemplifies what makes Maggie Rogers so different and enthralling. We head to chilly Canberra now, where if you’re not dancing in winter, you’ll probably just freeze to death. To help you survive are Young Monks. These four guys, who have been described as ‘tropical-funk’ despite living in the most un-tropical place in Australia, have released Supersonic Melodies, which is a damn fun funky offering. Getting more psychedelic than tropical, I love the bass line in this track. If you dig the sound and the vibe, look out for their debut album, Swamp Creek, out on the 29th of June. I remember going to a Sampology gig once, an artist well known for his visuals, and getting lost in the images and the sounds. This song takes me right back there. He has a way of making sound tangible, making lights flash before your eyes and it not being an impending stroke. He’s also a top bloke and someone that has been working hard in the biz for a long time. No wonder this song, Mt. Glorious sounds so real, that’s because it has samples taken from Brisbane’s National Park of the same name. Blending together keys, violin, nature and beats. It’s what Sam Poggioli does so well. 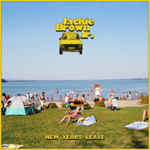 In keeping with the up-beat fun theme in this playlist, I give you Jackie Brown Jr. Self-proclaimed as “Pulp Fiction Soul Rock”, these guys are pure sunny goodness – There’s even a beach on the cover of this single, New Years Leave. This 2 and a half minute burst of sunburn is bloody joyous. 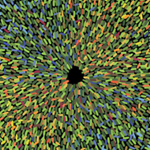 Sing along, move your fingers and get into this track from the Sydney bunch. You’ll be glad you did! Also, playing at The Bank in Newtown real soon. Check ’em out!